The 21-year-old, who was runner up to Headfort’s Rory McNamara in last month's Lee Valley Scratch Cup, was absolutely thrilled with his win as he finished on 288. The strong field tackled Headfort New on Saturday morning and Headfort Old in the afternoon in pretty good conditions compared to the constant drizzle on Sunday. Caolan Rafferty (Dundalk) was second on 293 – his best round on Headfort New on Sunday with a 1 under par 71. 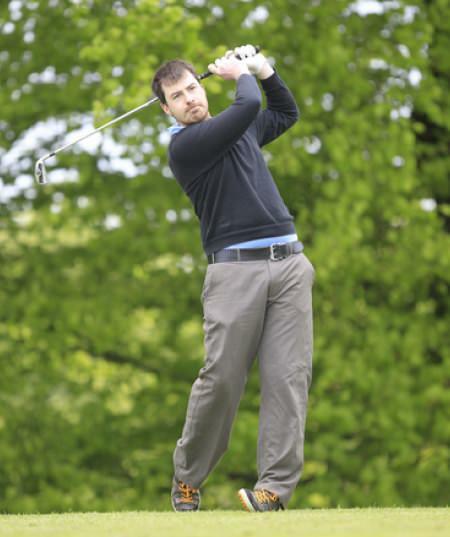 Third was Sean O’Connor (Luttrellstown) on 297 and Headfort’s best was Greg Mungovan on 301 in fourth spot. Laytown/Bettystown Cian Geraghty finished fifth, also on 301. Griffin added: “The two courses were in top class condition out there. I’ve played here a few times and it's always special to play here." Letterkenny's Jamie Foley emerged triumphant after a three-hole playoff with Naas' Gus Fitzpatrick to win the Ballyliffin Senior Scratch Cup last weekend.